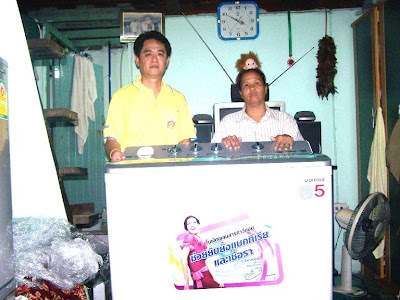 Khun Wanchai Thongthanoppakun, Head Of Personnel & Administration, HIWAY, and Working Group Committee, presented a washing machine to Mrs. Nisa Wongboonmee at Payathai District on June 25, 2007. The Chairman, the Vice Chairman and Directors of TISCO Foundation presented scholarships for the year 2007 to 1,044 students who live in Bangkok and vicinity area, totalling 3,632,000 Baht on June 15, 2007 at the Public Relations Department. 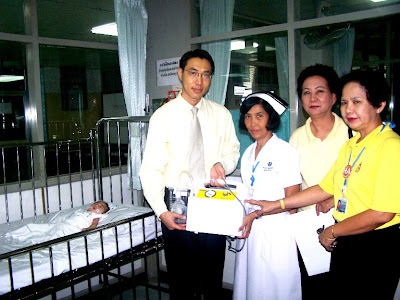 Khun Suthas Ruangmanamongkol, Managing Director of TISCO Asset Management and Director of TISCO Foundation, has donated a suction pump to 5 – month old infant, Veerachat Suphachitsawas, who suffers brain damage, at Thaksin Hospital. Khun Worayoodh Leelawejabootr of Commercial Lending, TISCO Bank and Working Group Committee, presented the suction pump on behalf of Khun Suthas on June 4, 2007.